Today I will post more about my experiences in developing the automation project from scratch. I developed 2 test mobile automation from scratch until now: one was with Calabash and Cucumber and the other one was with Robotium and Cucumber. Support – Be sure that you will have a lot of support from the framework team. If it’s an open source you could have fast support or not, depends of how the developers are busy. So, make sure that you will have a good support when you start to use the framework, go to the github of the project and look for the open issues and what is the frequency they reply and when it was the last bug fixed. Pay attention the frequency of the answers in forums on google groups/linkedin groups/stackoverflow, etc. Stability – Is stable enough ? How long this framework is in the market ? Really, you don’t want to start your automation with a lot of problems because the framework that you are using is still in beta phase or is still improving a lot of things. You need to be sure that your choice will depend more in you and your code than the framework you’ve chosen. Your app – Yes, you need to know first if your app is stable, with good performance and what are the objectives of your automation. Some frameworks work very well with stable apps, but when you need to test an app with memory leaks or performance problems you won’t be able to even start a scenario. I worked with Calabash most of my mobile automation experience and to be honest I didn’t have any problems to test some unstable apps, but when I did a POC with Espresso, the first simple scenario couldn’t even go further the first step, just because the app was not stable enough (and this it wasn’t the first priority of the automation – of course if you know that you have performance issues and they are not relevant enough you should be able to carry on the automation). Developers – Again, I will use the experience that I had with Espresso. The developers are from Google, which is a famous company. You could think, of course I will choose this one, because google is taking care of it. No, to be honest, I don’t really care about the company, I may consider the fact of the framework being developed from a good company, but in first place I see all the priorities above. In this example: Espresso is relative new if you compare with robotium or calabash, it takes serious about the performance of the app, so it won’t go further the automation if you have performance problems, the support is really fast and you can find a lot of people who already started use it. Pressure – You need to consider this, probably you will have a developer who will need to push you to use the framework he thinks it is really good (OMG Espresso is being developed by Google, we need to use it, because reasons and stuffs). I think all of us already worked with people like this, I am not saying that you need to ignore them, but just pay attention about what is more important and WHAT IT WILL WORK FOR YOUR COMPANY/APP. Please, not all the apps or companies work in the same way, you don’t need to follow the crowd, just follow a single tip to figure out which framework is better: POC. 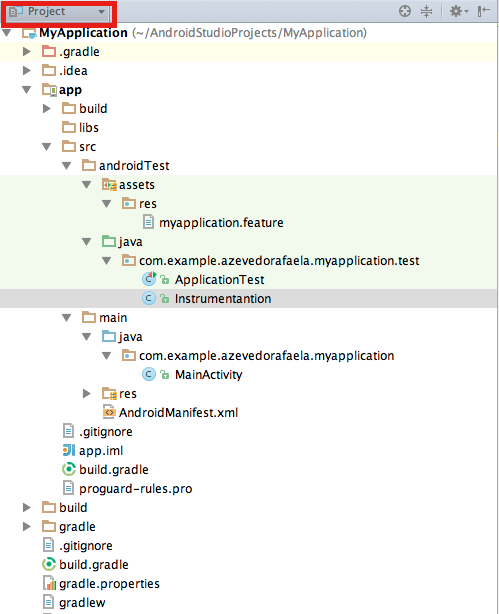 In your build.gradle file (Remember, you can have many build.gradle file, so first try to find the one that you want to share with all projects or the one which you will use only in your project > buildTypes > debug, as it is showed in the structure below). 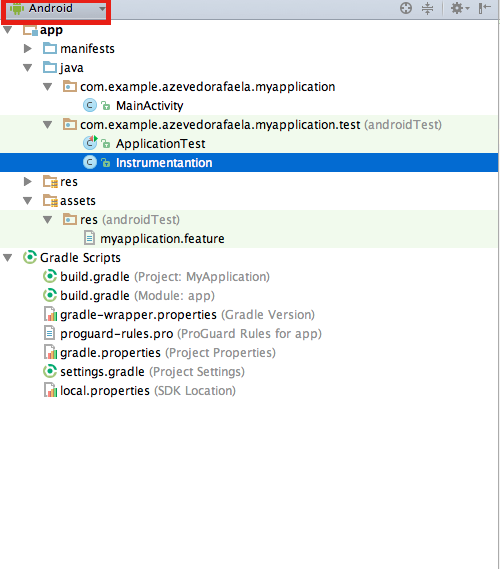 The “USERNAME” and “PASSWORD” will be the variables in your code and the testUsername and testPassword should be the same variable which you are using in your gradle.properties file (above). After this, you need to sync your gradle. 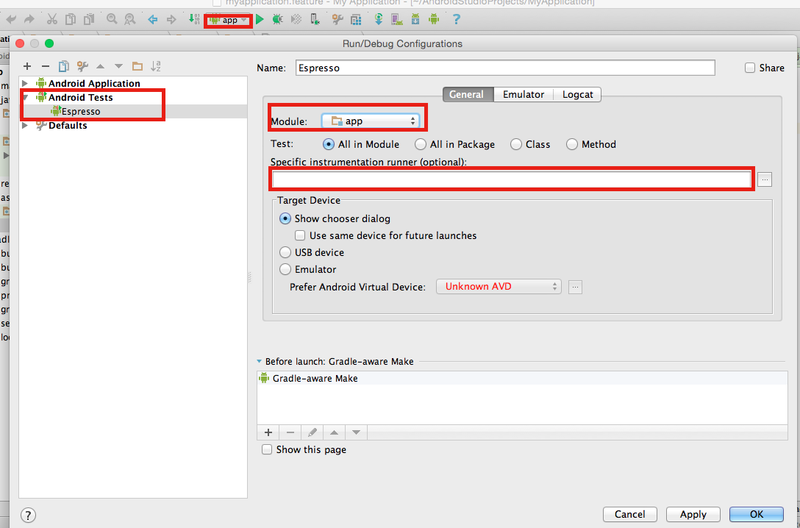 I am using gradle 2.4 and androidStudio 1.3.2. Hello guys, today I will post about some steps that you can follow to create the QA area from the scratch. Do you have any written scenarios ? Who is writing the scenarios and in what phase ? QA team will need create its own scenarios, what phase may the team do that ? Who will need to look the scenarios, just QA and dev area ? Who will run the tests DEV and QA only ? How the application is working ? What are the critical scenarios ? Like, what are the scenarios which will crash the functions/app/process ? What are the most used scenarios (Like create an account…) ? What are the scenarios which are more unstable, like if you change a simple thing you will need to test this scenario every time ? What are the most repetitive tests ? Do you have a QA environment ? What are the most used devices/browsers/OS ? What are the most unstable devices/browsers/OS ? What are the most used versions on these browsers/OS ? What are the most unstable versions on these browsers/OS ? The app is hybrid, native or web app ? Is this site responsive ? Do you have a process of QA, like SCRUM, Kanban ? If you find a bug in a task, do you return the task or create the bug to be fix separately ? 4 – Decide what are the scenarios that must be in the regression (Priority). What are the most repetitive tests ? 10 – Form a team of automation and equality the level of knowledge. Make some meetings to prepare people in your team to use the tool with wisdom. I think it’s pretty much this. Sorry guys if I forgot something… If I remember anything else I will update here. Thank you ! Feel free for comments and your opinion always ! See you next week !